Technology to facilitate a patient's understanding of insurance coverage and out-of-pocket cost for pending services will feature prominently in the future. Follow the money. That’s something all healthcare organizations must do, and do well, especially during a period of changing financial models and expectations. Revenue cycle management systems are bread and butter when it comes to what healthcare organizations need in health IT. But the next generation features and functions of revenue cycle management systems may be anything but ordinary, according to experts. For one thing, expect next-generation revenue cycle management systems to boast quite advanced analytics, said Kellye Sherbet, president of RCM services at Aprima Medical Software, which markets EHR, practice management and revenue cycle management systems for medical group practices. Analytics also will be able to pinpoint opportunities for additional profit, as well as which value-based contracts will offer the best return. "As we move closer toward value-based care, analytics become even more important, along with the ability to bring in clinical information to support the revenue cycle." Factors such as multiple chronic problems, medications and even the patients’ willingness to take responsibility for making necessary changes all become deciding factors in what programs make the most sense, she added. On a related note, the next generation will see tools that aid with patient responsibility, Sherbet said. Jeff Hurst, senior vice president of revenue cycle management and president of RevWorks at Cerner, suggests the next generation of revenue cycle management will be supported by artificial intelligence to empower the proactive self-sufficiency of consumers and staff efficiency for providers. "Leveraging AI, healthcare technology will be positioned to further the work to reduce the cost to collect in registration, scheduling, charge capture, health information management, and billing and collections." Hurst added that technology to facilitate understanding of insurance coverage and out-of-pocket cost for pending services will feature prominently in the next generation. Costs can often impact a patient’s decision to pursue care, so facilitating an open dialogue with patients ahead of time improves the healthcare experience and can help with collections because the patient will have visibility to their out-of-pocket costs upfront, he added. On another front, automation of compliant documentation and claim generation will be important to the next generation, Hurst said. The data then is gathered from each encounter and automatically is codified and transmitted to identify and secure the appropriate funding for the interaction, eliminating the traditional claim and revenue cycle process, he said. Meanwhile, consumerism and patient satisfaction will impact the next generation of revenue cycle management by requiring data and analytics that can handle their needs, said Merideth Wilson, general manager, revenue cycle solutions, at Experian Health. 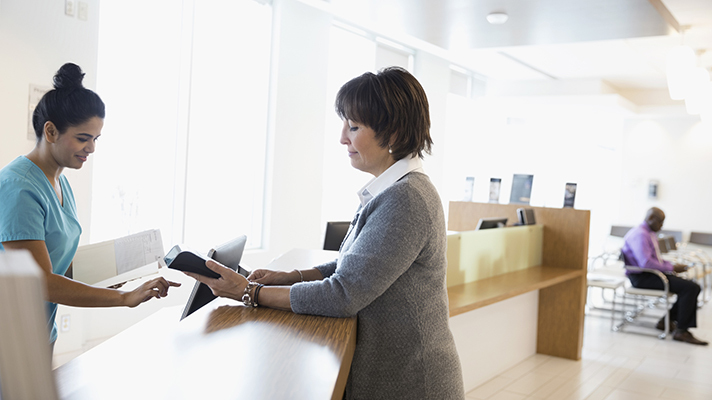 "As the link between patient satisfaction and a health organization’s revenue continue to grow, efforts to create a better patient financial experience are crucial." Patient payment responsibility has increased and this requires healthcare organizations to optimize their collections from patients and payers simultaneously, Wilson added. And in addition to providing accurate patient estimates, healthcare organizations need to empower patients with a frictionless financial experience, she said. By incorporating credit data into the patient billing process, she explained, healthcare organizations can enable a people-first product design to price transparency and collections that extend benefits to more people by understanding the financial situation of each patient.